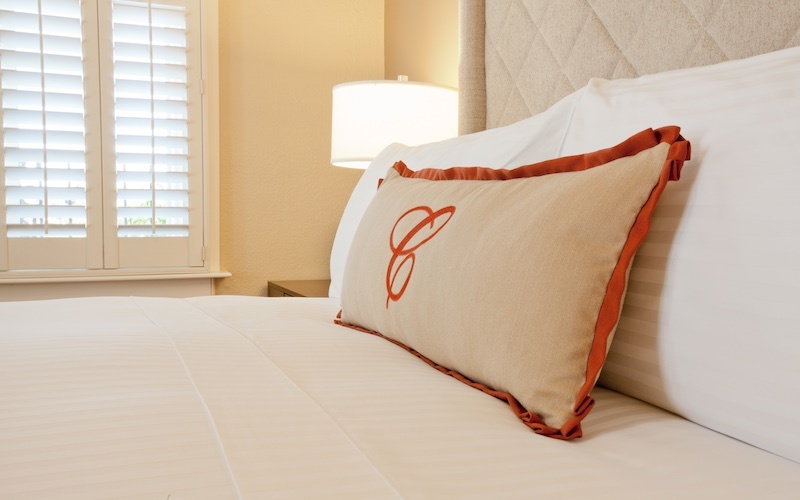 These totally charming guest rooms feature one queen bed with modern conveniences such as Direct TV with premium channels, bedside USB ports, high-speed wireless Internet access, and well-lit work desk. Enjoy a stay in this classic guest room with private bathroom that features modern conveniences such as Direct TV with premium channels, bedside USB ports, high-speed wireless Internet access, and well-lit work desk. 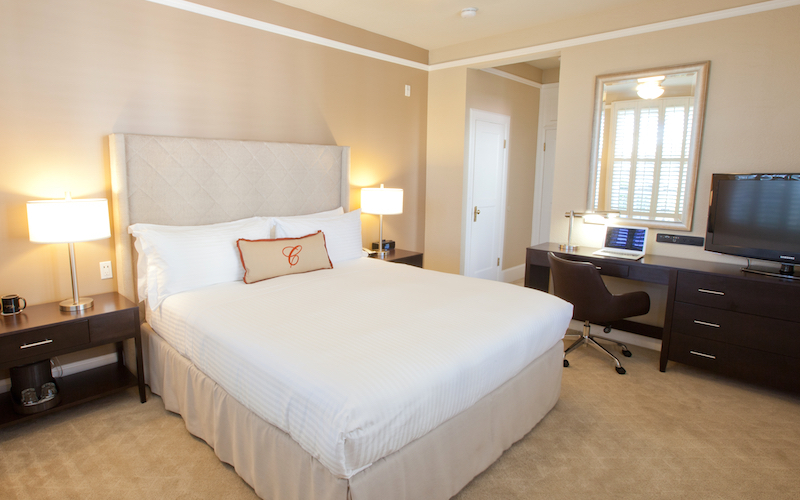 Enjoy a stay in this classic guest room with private bathroom and two extra long double beds that features modern conveniences such as Direct TV with premium channels, bedside USB ports, high-speed wireless Internet access, and well-lit work desk. 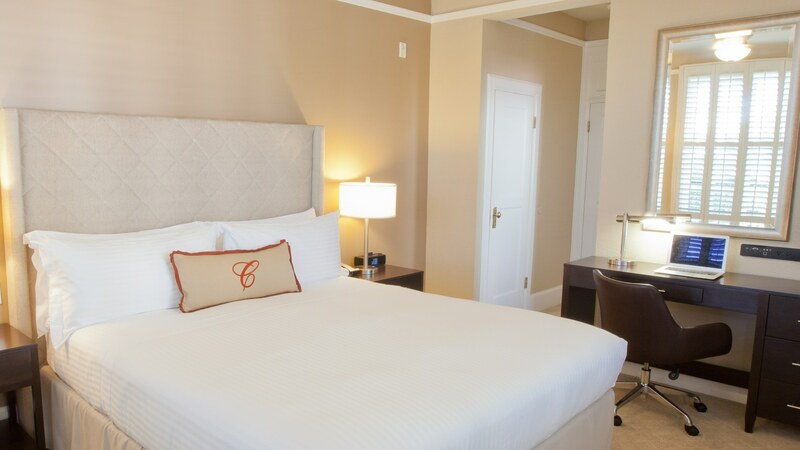 Enjoy a stay in this classic guest room with private bathroom and California King bed that features modern conveniences such as Direct TV with premium channels, bedside USB ports, high-speed wireless Internet access, and well-lit work desk. 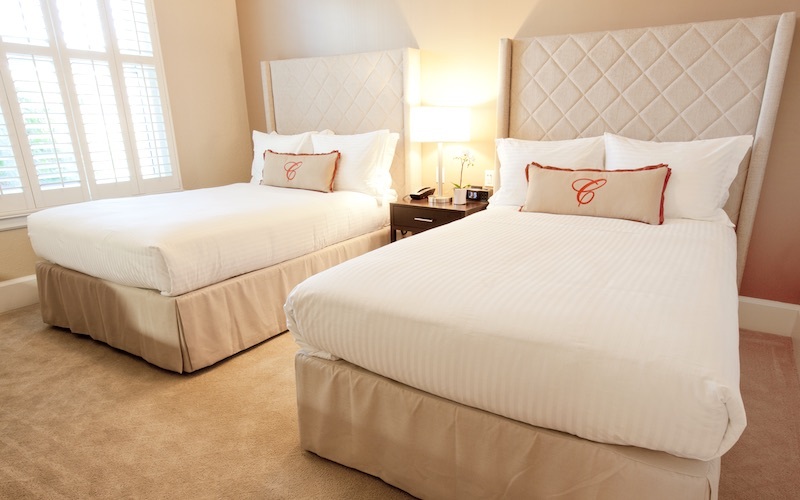 The Deluxe Room awaits with one luxurious California King bed and private bathroom. 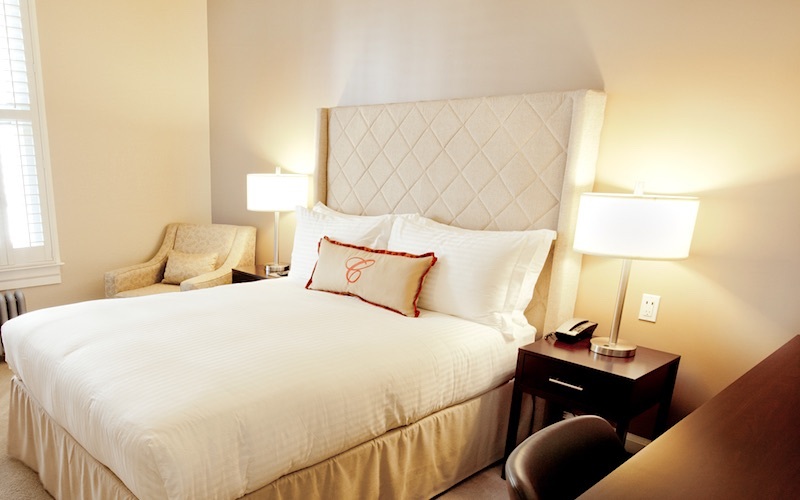 Our deluxe accommodation adds in-room coffee to all the amenities found in the Standard King room.